Chances are you’ve received a lot of information from every department at LSE, and it’s pretty hard to keep track of it all. Not to worry – we’ve put together an easy guide to our services and what we can offer you throughout the year below. We’re open Monday to Friday 9:30am-5pm (and until 8pm on Thursdays) so please do come up to the Resource Centre on Floor 5 of the Saw Swee Hock and ask us any questions you may have. CareerHub is the place to access nearly all of LSE Careers resources. You can log in using your LSE username and password. When you log in, make sure to update the ‘Preferences’ section so that we can keep you informed with events and opportunities relevant to your interests. On CareerHub you can search for and book all of our appointments, CV discussions, practice interviews, and events including seminars, presentations, and fairs. We also have an exclusive jobs board with hundreds of opportunities, but more on these later. The Careers webpage is an amazing resource for nearly anything you’d want to know about applications, employment sectors, interviews, and beyond. Here you’ll have access to sample CVs and cover letters, as well as practice psychometric tests and ideas for further study so start exploring today! Our blog page is also updated regularly with the latest news, events, and career insights from our consultants and guest bloggers. Feeling like a fish out of water? Let us help you! Whether you want to tailor your CV and/or cover letter to a specific role, make it relevant for the UK job market, or even if you’re not sure where to start when writing them, our CV and cover letter appointments can assist. You can book by clicking on the ‘book an appointment’ button on the CareerHub homepage, and appointments are bookable on the day from 9:30am each morning, with the exception of appointments before 12pm which can be booked from 9:30am the day before. Make sure you bring a draft of your CV and/or cover letter with you to your appointment and we should be able to help you out! We hold numerous sector-specific careers fairs throughout the year, usually in the evenings after classes and lectures have finished. This includes sectors such as Marketing/Comms, Law, Banking, Consultancy, and Public Policy. Coming up we have our China Careers Fairs in Beijing, Hong Kong and Shanghai. You can see a full list of our fairs on our website. Booking generally open a week in advance, and you can book them through the ‘Events’ tab on CareerHub. For some fairs you’ll need to pre-register for further in advance, so make sure to do it early as our fairs are very popular. Generate is targeted towards entrepreneurial students interested in starting their own business. Whether you are looking to start up your own business or interested in joining an organisation that promotes entrepreneurship as one of its core values, Generate can help you out. Generate offers a skills development programme and a series of events which, together, offer a unique platform from which students can learn, market test their ideas, and identify key relationships within their immediate and wider entrepreneurial community. 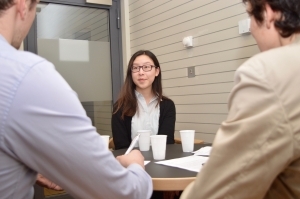 If you’re invited to an interview with a company, you can book a practice interview with one of our careers consultants to help you feel more confident for the real thing. You can do this through CareerHub by clicking the ‘Book a practice interview’ button on the homepage. Fill out a practice interview form which asks about the company and role you are interviewing for and then you will be able to book a practice interview in advance. You need to book these at least 24 hours in advance to give your consultant enough time to prepare. LSE Careers runs employer presentations both on and off campus. These will cover information about their graduate schemes and any other vacancies that might arise, and also includes off-campus events that are usually held in the employer offices to give you more insight as to what working there is like. In Michaelmas Term we’ll be hosting informal breakfasts again every Friday morning where you can network with employers and learn more about different sectors and recruitment process. Like the majority of our events, these are bookable on CareerHub a week in advance. However some of the off-campus events will require external booking that is controlled by the individual employer. Full details of what you need to do will be on CareerHub for each event. Current students have access to exclusive content that can help you with finding jobs and succeeding in applications. These are not available to alumni, so make sure you take advantage of them whilst you can! Sites like Interview Stream and Graduates First can help you practice interviews and psychometric tests independently, and the Vault collection is a great resource for insider knowledge on a range of sectors. We also have access to exclusive jobsites such as GoinGlobal and Policy Jobs, so it’s never too early to check what’s on offer. 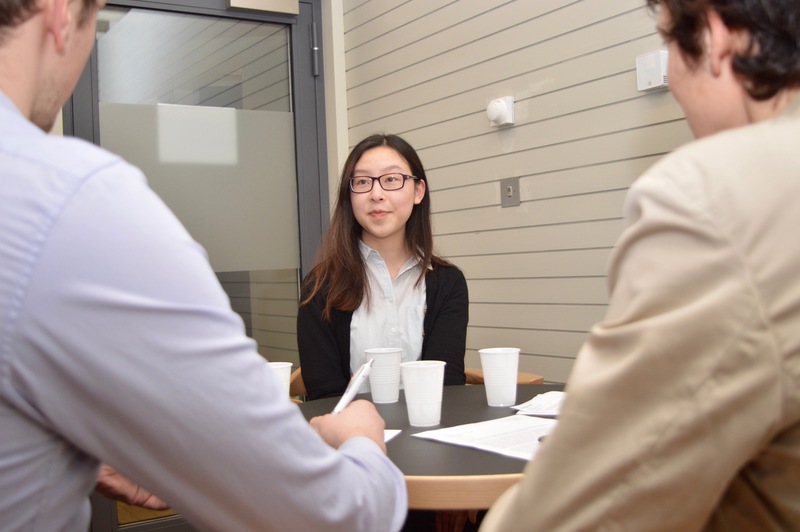 Our ‘Meet an Alum’ programme brings together students and alumni in small discussion groups that allow you to get exclusive information from someone who really knows what it’s like to work for certain companies and in certain industries. We aim to bring in alumni from a range of careers and experiences who can give you information and tips, rather than being recruitment-focused. 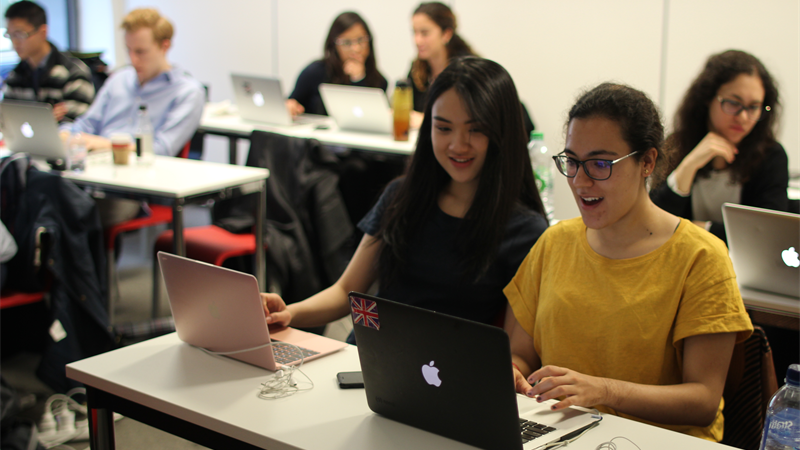 Each session will be made available on CareerHub in Michaelmas and Lent, so have a search nearer the time and see if any of our alums appeal to you. If you’re a master’s or PhD student then you are eligible to apply for LSE’s parliamentary internships. These are part-time and unpaid placements with MPs in Parliament that run through Michaelmas and Lent Terms. Once you register your interest, you’ll be able to access the internship vacancies via CareerHub. For more detailed information, have a look at our parliamentary internships pages. As well as being a great way to give back to the community, volunteering can be very beneficial to both your personal and professional development. 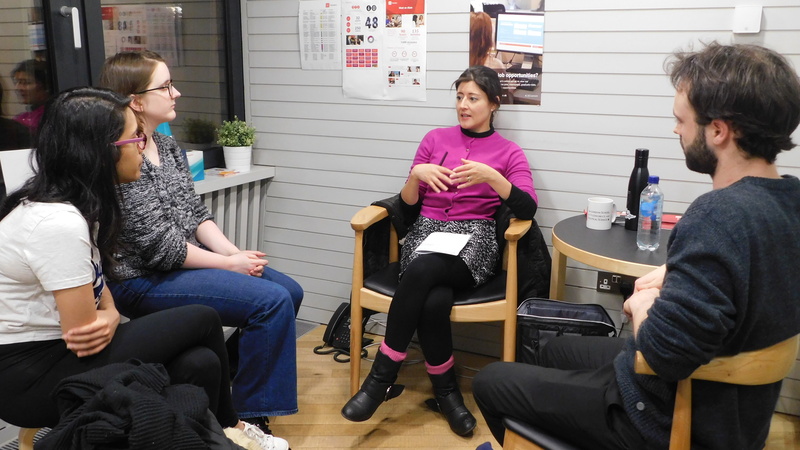 Not only will you gain new skills and meet new people, but research by Reed employment showed that 73% of employers would employ candidates with voluntary experience over those who do not have voluntary experience. Our Volunteer Centre is a great place to find a voluntary role suitable for you. 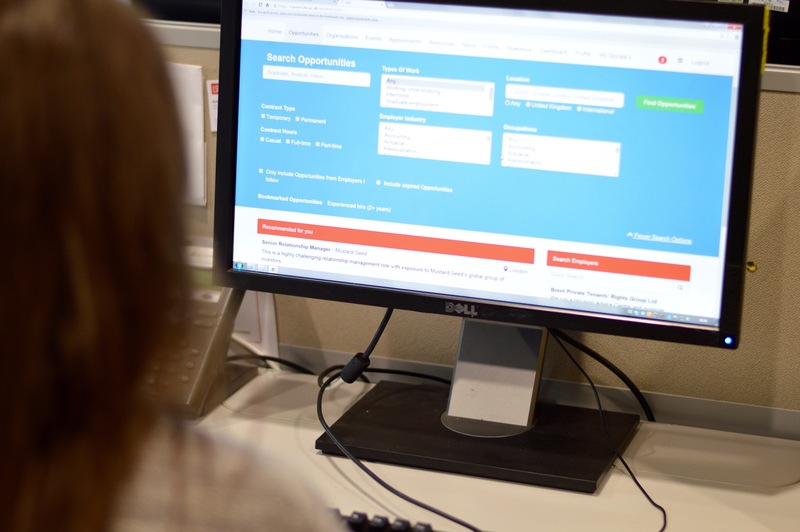 You can search for voluntary roles using CareerHub’s Opportunities tab by selecting ‘Volunteering’ under ‘types of work’. You can also book an appointment with our Volunteer Centre Manager for help and advice on anything to do with the voluntary sector. 4. What do LSE graduates do? At LSE we survey alumni six months after graduation to see what careers they have gone into. 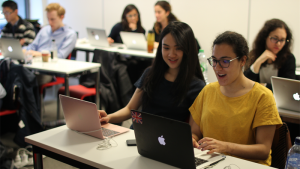 LSE students of all courses go into a vast range of careers after graduating, and so looking at these job roles can give current students some great inspiration as to what jobs they might want to look into. Through our What do LSE graduates do? page you can search by department and degree course to see exactly what roles students of a certain course have taken on after graduation. We also have graduate profiles from students who explain exactly how they got into the role they’re in. We run a large number of careers seminars to help you improve various skills throughout the year. 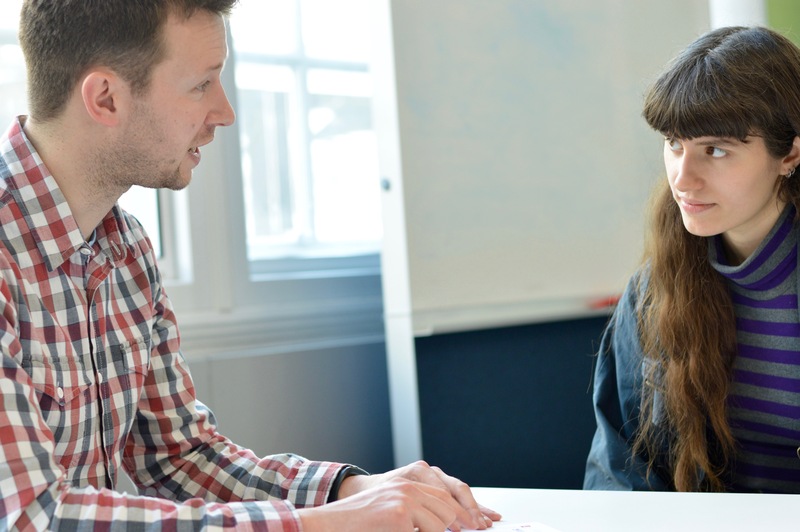 From CVs and application form writing to practising group exercises which are part of assessment centres, our careers seminars can help you at all stages of your job search. We also run specialist events with certain departments and degree courses, so check back for events relevant to you. These are all bookable on CareerHub one week in advance. Our career seminars are very much in demand, especially at the start of the year, so make sure you book in time to avoid disappointment! One of the main resources that CareerHub has to offer is our dedicated jobs board that is only accessible to current students and alumni. Using the keyword search, you can look for jobs that are related to absolutely anything. You can search the subject of your course, anything you’re interested in doing, or even certain skills to find a job that’s right for you. Careers appointments are probably the most popular service that we offer. You can book an appointment on CareerHub to have a one-to-one session with one of our careers consultants. Here you can discuss anything from CV and cover letters, to interviews, to just not knowing what you want to do after graduation. Appointments are bookable on the day from 9:30am each morning, with the exception of appointments before 12:00pm which are bookable the day before. Appointments are in very high demand, so make sure you book early so that you don’t miss out.